“Tree of Life Yoga aims for the sweet spot between yoga as work-out and yoga as spiritual healing." "Milissa's soothing voice guides me to an inner connection and stillness that has allowed me to open up to more of myself and life." "From my first session, I felt the relaxing effects of Yoga. Under Milissa's gentle direction, I feel comfortable to push myself to my own limits." "Milissa's yogic style blends heart and head. She welcomes and embraces her students in true yoga community fashion." "Besides keeping me centered, yoga keeps my body flexible and limber. Yoga is an oasis of calm and peace for me in a busy world." "Milissa is a kind and gentle spirit with the courage, strength and wisdom to provide spiritual guidance and practical support for those wishing to navigate through life in a state of grace." "I feel much more confident moving into the third third of my life knowing that I have Tree of Life Yoga as a resource." "My son and I have gone to other yoga classes for children, and they were silly and goofy. 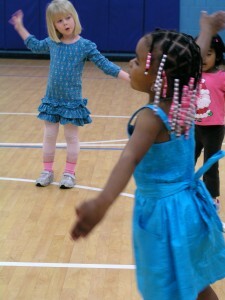 Tot-Mama Yoga felt like the real thing--Yoga!"